You will receive a text from us shortly. *The only way for us to communicate with you is if you OPT-IN*. Please reply Yes (In the Message box). If you do not OPT-IN; we will not be able to communicate with you via Text. At Safford Chrysler Jeep Dodge Ram of Warrenton we are proud to offer a diverse new Chrysler, Jeep, Dodge and Ram inventory near Manassas. We also are happy to offer a great selection of used cars, trucks and SUVs by top manufacturers at our Manassas area car dealer. Whatever you are looking for, if you are car shopping, you have come to the right place! 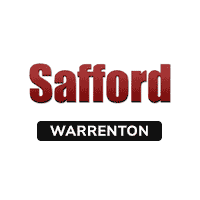 Safford Chrysler Jeep Dodge Ram of Warrenton	38.7331098, -77.7701513.